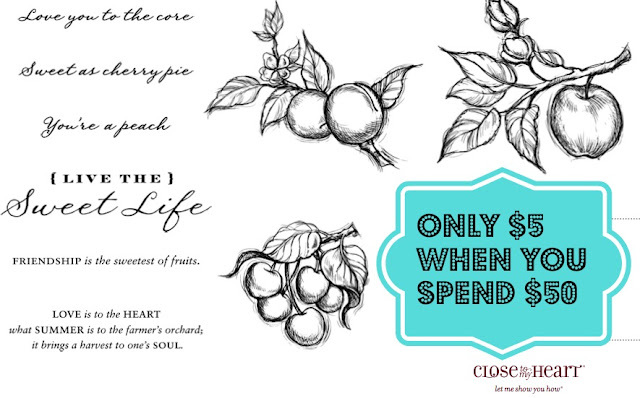 Obsessed with Scrapbooking: Make A Quick Fancy Card! Make A Quick Fancy Card! We all need that quick, elegant card sometimes and the Cricut Florals Embellished cartridge never disappoints. The main focal image for this card was the elegant layered bird from this cartridge. The hardest part about making the card was deciding on the colors of the bird and which Cuttlebug folder to use as a background. I added gems to the bird's plume and eye. Scalloped Circle Card Base: From Cricut Birthday Bash, 10"
Bird: From Cricut Florals Embellished, 4"
Circles: From Cricut Plantin Schoolbook, 4.3" and 4.6"
1) Leave a comment below - what's left on your list of summer plans? I have movies to see! Despicable Me 2 and The Lone Ranger are on the list! Click HERE if you don't know how to leave a comment. Click HERE to leave a comment if you are seeing this in an email. Note: Post may contain affiliate links necessary to support my diet coke intake, needed to run this site. Some summer plans that I have left to do is getting two of my grandchildren for a week. Haven't decided what we will do yet. Also there are a couple of movies out right now that I want to see. One more thing is we are spending a night in New Orleans and going to see the Rat Pack. I have a couple of sewing projects to finish up, the main one being new drapes for my bedroom. In between, I have family celebrations: a shower for new baby, birthday, and a special 50th birthday combined with family reunion. In August I'll be spending a relaxing week at a Christian camp/resort. Great card. We still have vacation/wedding in VT, visit to grandparents, hubby going on a mission trip, really a ton of stuff left to go! Left on my list of summer plans is to get gelato from this new place in town, go to the beach and check out some art festivals. We just moved and are waiting to unpack and explore our new city. The card is fabulous! Thanks so much! The rest of my summer will be spent recuperating from foot surgery...yuck! But I'm also hosting my 3 year old son's birthday party & a baby shower for a super friend so I still have some fun stuff, too! Still lots to do this summer. I'm starting an online class for a job, getting my CTMH business up and running, and going to a high school reunion. We live near Lake Michigan and I still haven't been to the beach this summer - definitely on my list!!! I like all the layers on this bird. No big summer plans since my mom is in the hospital. My summer plans are to work less and spend more time crafting. Thank you for the opportunity to win the cricut cartridge. Lots of yard work to do this summer, we all know how it never ends. A few mini trips coming up which are always fun and hopefully some serious scrapbooking! Thank you for the awesome giveaway and I love your card and your choice of colors is great! The rest of my summer is pretty free- may be taking a little trip later in the summer, but it's up in the air! Trying to get some things done around my house, but that is on my "to do " list no matter the season - I just keep moving it to the next season's list! LOL! 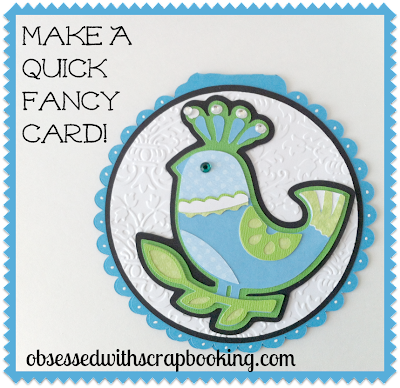 LOVE your cute bird card- the embossing makes all the difference! Get caught up on everything! Declutter and organize office/craft room. Work on grandson's scrapbooks and hopefully get caught up. Love the colors of the card. Super cute card...love that bird cut! As for this summer...we have to make a quick trip to the USA...probably Minneapolis for some shopping...and I need to place a big supply order for paper etc and have it shipped to the border and pick it up on the way back home. Shipping to Canada is brutal...free to ship to the border. I still have movies to see, barbecue to eat, bike rides, spending time with family and of course, crafting. Learn how to use all features on my new Nikon camera. Well...booked a trip to Bar Harbor Me in January and couldn't believe it was 7 months until we were scheduled to go....now its only a couple of weeks and woohoo...a most beautiful vacation spot people. Restful and zen like. Put it on your bucket list!!! Love your card!! We have a lot left on our summer list from refinishing cabinets to a trip out to the black hills of South Dakota! Terrific card. Always love reading your blog. Such creative ideas. My summer movie plans include those you mentioned (and Monsters University). Love the minions! 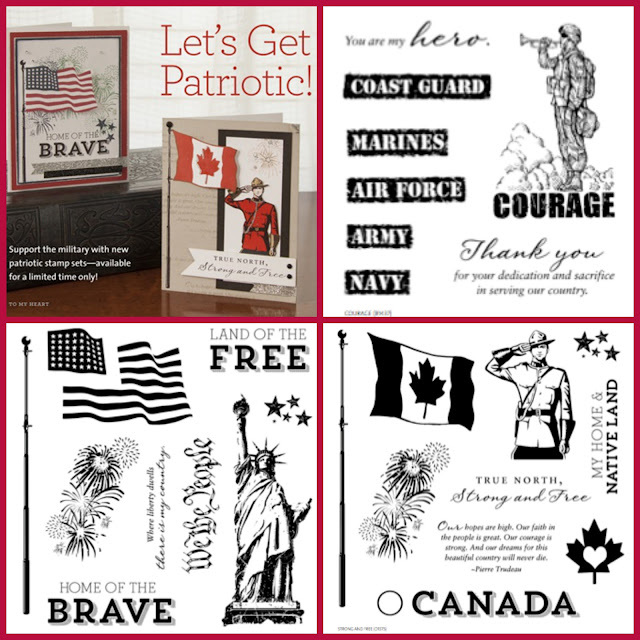 I also plan to do more card making - just purchased some Sizzix stuff with the 4th of July sale and can't wait to use the new items! Summer finally has hit here. . .and now we are having rain! I still want to do some canoeing and hiking. 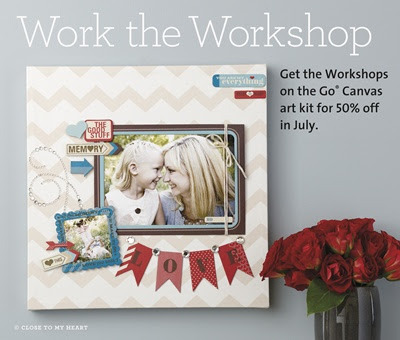 I do have a scrapbook retreat coming up which is always a blast! Love spending time with the girls. There is so much to do and so little time. Have to finish a Travel Journal for my upcoming trip. I also do one project a week and make multiples of the project and give to my friends. So many things to do, so little time. I love that bird! My friend make a card for me with him once - didn't realize I have him on that cart! So much to do this summer and so little time! Vacation is in 3 weeks and kids go back to school a week after we return! What a pretty bird, great card. I love your cute card. 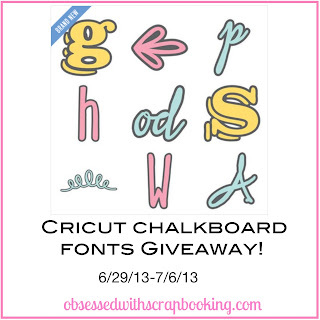 Thanks for the chance to win the chalkboard font cartridge. We have plans to go camping, to see a few new movies and do some shopping before school starts back! Cute card. It always amazes me at all the things one cartridge has to offer. I never have enough time to play around with my cartridges to find these cute things. Maybe some day I'll have time to do this. The rest of the summer I plan to continue working on my remodeling in my house. Cute card! You did a great job picking out the colors. For the remainder of my summer, I plan to rest and do as little housework as possible. I love this cartridge, thanks for the chance to win. Great card! Love the way you added to the birds plume. My plans left for the rest of summer is to enjoy family time. Swimming & picnic's. What a pretty card! You used the perfect colors and background! My summer plans are to visit family in a few weeks and welcome my new granddaughter in about a month. I'm really excited about both! You are so talented Joy! The card is so pretty. We have three birthday's to celebrate in July/Aug. We live thirty mins from the beach,so we will be spending time with our feet in the sand. I'm sure we will be spending some time at Disneyland too. I don't have much left to do this summer. Just lots of scrapping and would like to see a few movies. Thanks for the opportunity to win! Love the blog! Our family has not gone vacation yet. So I am looking forward to that which will happen at the last week of July. Finally, I'll be off work for a weekend! If I wanted to order stuff from CTMH from you, how much is postage and packaging? I live in Toronto Canada. What a darling card. I never pull that cartridge out these days. Maybe 1 x year for Mother's Day . I will have to get reacquainted. Thanks for the chance to win! Cute card. Love the Chalkboard Fonts cart. Thanks for the opportunity to win. Love this blogs - so much fun stuff to create!!! Cute card!! 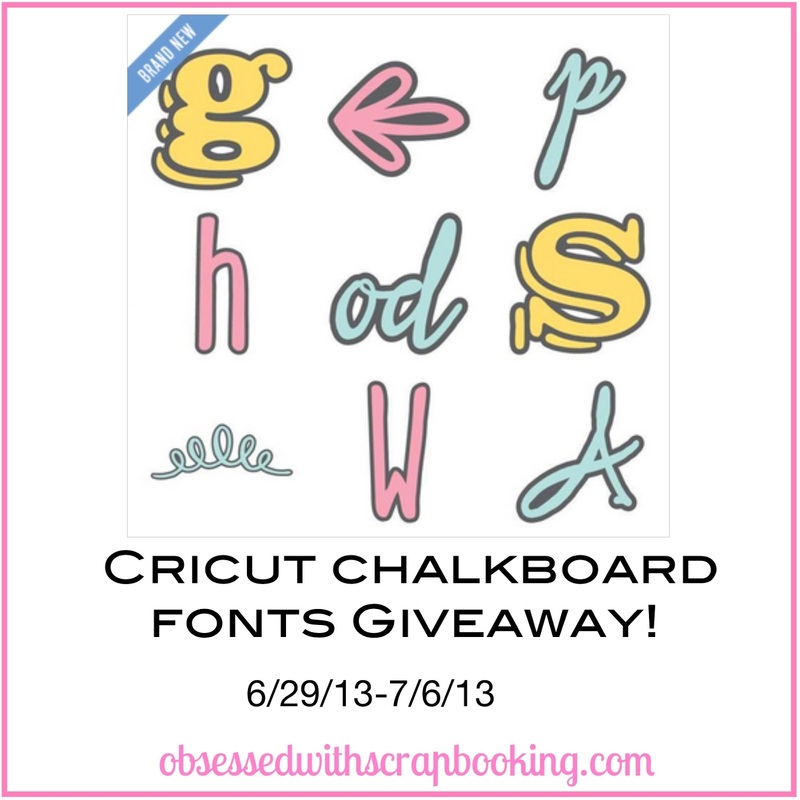 I would love to win the Chalkboard Fonts cartridge! Lots of family reunions for me this summer, including one with relatives from overseas! Very cute card! Our plans this year is to go to the Zoo, see some movies (Despicable Me2), and maybe go to Schlitterbahn Waterpark. I'm also working on some craft projects that I promised myself I would finish this summer. Would love to win this cartridge....thank you! Awaiting my week at Folly Beach in SC for vacation...till then work..work...work!! Love the card! Definitely your creations never disappoint either. My current and upcoming summer plan is to watch my step son graduate from the police academy next Friday! He has worked so hard to get where he is and we are so happy for him! Beautiful card that could work for so many occasions! We have two fantastic trips planned this summer - one to the NW corner of the U.S. and one to Ireland. I can't wait! I love the card! The gemstones and embossing make the card just that much more elegant! My current summer plans are to finish making invitations for my nephews' birthday party, and next weekend I'm going to our local scrapbook store to crop all day! 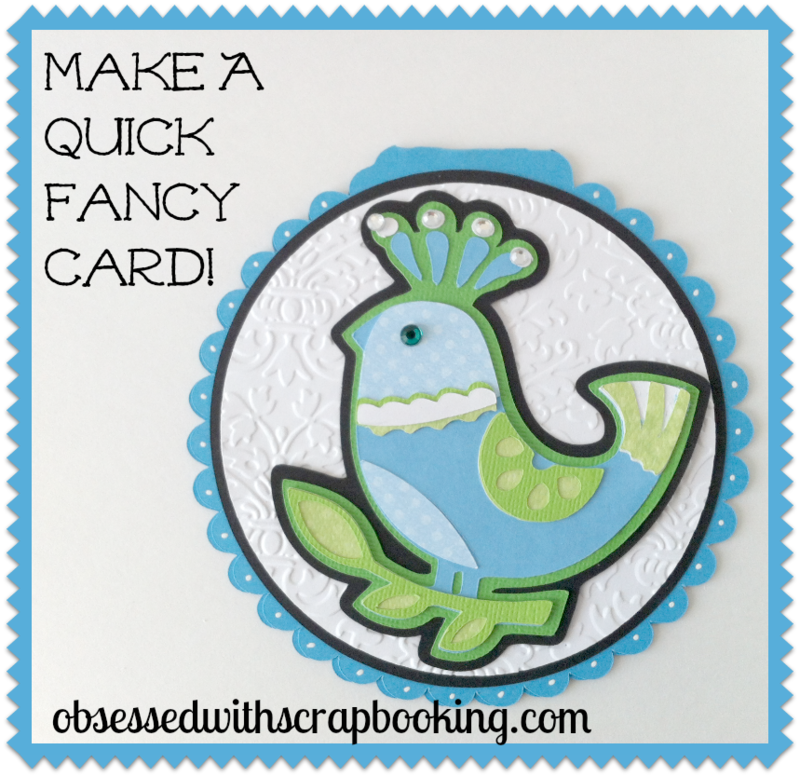 Love the elegant bird card! Am planning on a summer filled with scrapbooking including next Saturday to meet up with old friends! Am really needing this! I can't believe summer's halfway over! We've still got some painting to do, lots of wedding plans, and of course some scrap time before we head back to school (my fiancé and I are both teachers). Still have a trip to visit my mom, go to a major league and minor league baseball game and take our youth group on a mission trip. I would like to finish a t-shirt quilt i started for my daughter. I have 2 or three memory boxes to finish too. I really would like to see my nieces and nephew - it has been quite awhile. This summer has been great so far.. I want to finish quilting a quilt and spend more time with my family. Great card, I'm always grabbing my FE cart when I need a fast and elegant card...it never disappoints! As for summer plans, we still need to make our annual visit to the zoo, the county fair, and a few more picnics are in store....it seems like summer always flies by tto fast, why is that??? Get my grading done for my last semester of college for the year, go camping, go to my high school class's 20-year reunion. I plan to get my craft room organized a lot more swimming in the pool with my kiddos. Summers plans include helping our daughter move to her first house! Hope to help her make her own craft room too! So I will probably work and scrapbook for the summer. What I have left to do for the rest of the summer is Birthdays and Anniversary. I just got done with one Birthday for my son which was on 4th of July and he turn 20 years old know I got another Birthdays one is on July 20 which is my daughter and she will 26 and on July 21 which is my wonderful husband and he will be 48 and then on August 3 we will be married for 29 years together and their is so more birthday but it is just family. But I think that is enough for the rest of the summer. I am hoping to get my scrapbook room painted so I can start the fun part which is decorating it!! Our family also has a big camping trip planned the first of August. What I have left to do for the rest of the summer is to go on a beach vacation. I also plan to just relax at home and enjoy the beautiful summer weather while listening to the birds and enjoying the flowers. Winter comes way too fast and all of that is gone. Planning on purging my house and enjoying the pool! We are seeing those movies next week. Lots and lots of crafting for sure!! If you come to NH both Despicable Me and the Longer Ranger are playing together on one Screen at he Milford Drive ins.. 2 in one shot LOL. We saw The Heat, funniest movie ever!! For my summer plans, we have been to Marco Island thus far, Going Sailing on the ocean with my parents then Camping in August. In between that I need to replenish my stash of cards. Thanks for the great ideas !! I am heading off for vacation in Florida on Tuesday! So very excited. Still movies to see, crafts to do, and lots of vinyl to cut! I love your projects. Thinking I might have to invest in a font cartridge after seeing the fun stuff to make. Thanks formal your hard work on our behalf! Making time for making cards is on my summer list in addition to watch some RedBox movies..Been spending lots of time with grandkids so now to get making cards. I'd love to win the cartridge. wow this is hard i love cardmaking but i guees my favorite thing to do is scrapbooking because i am telling stories to leave with my family forthe future. I love to dabble in a little bit of everything. Ornaments, scrap pages, home décor. My Mom was the queen of craft. We she passed, I went thru all of her crafting stuff and took quite a bit. Now, I try to incorporate some of her stuff in my projects. Mom is always with us. My favorite thing to do is card making. I like to give someone something different to they can treasure and to let them know I've been thinking of their special day. Had to click around so much to get here from email, so not sure what this is a comment for! It's hopefully either for the cute birdie card, or the terrific swing card. I made Christmas swing cards in 2012. Or if it is for a comment of some other topic, Happy Monday! I never made a swing card and I did not know they were on the cart. I am saving up to get this cart. It looks great! My favorite craft is card making! Thanks for the great tips and ideas!! Love making cards, but also like to make things for my granddaughter..Thanks for the great tips, love reading you newsletter to see what new things you are doing!!!!!!!!!! I have This cartridge and didn't know this card was there. I have both CTMH cartridges so I'm making these cards. Too cute, love them. Thanks so much for sharing your great card ideas.